Jacob Michael Smolinski was originally signed by Nationals scout Steve Arnieri…starred in baseball and football at Boylan Catholic High School in Rockford, IL (graduated 2007)…was selected as the Gatorade Illinois Baseball Player of the Year and the Louisville Slugger Player of the Year for Illinois as a senior…hit a school record .494 with a slugging percentage of .894 that year…was the only player from Illinois selected to compete in the 2007 National All-American Game…was also the starting quarterback on football team. Missed nearly the entire season after undergoing surgery on his right shoulder during Spring Training…was reinstated from the 60-day disabled list Sept. 1 and hit .259 with a double in 16 games with the A's…went 1-for-5 (.200) over his first nine games, none of which came as a starter…each of his final seven games were starts in center field and he went 6-for-22 (.273) over that stretch…did not commit an error in 11 games overall in the outfield (nine in center field, one in left field, one in right field)…went 0-for-1 as the designated hitter and 1-for-4 as a pinch hitter… did not drive in a run and now has a 35-game streak without an RBI dating back to Sept. 2, 2016… that is the longest such streak by an Athletic since Mitchell Page also had a 35-game streak from April 15-Oct. 1, 1983…had a career-high 46-game homerless streak and has not homered since Aug. 17, 2016…went 5-for-11 (.455) against left-handed pitching, 2-for-16 (.125) against righthanders…now has a .299 (66-for-221) career average against lefties, .207 (72-for-348) against righties…has 11 of his 16 career home runs against lefties for a .507 slugging percentage (.290 against righties)…was 0-for-4 with runners in scoring position…had surgery on March 16 at the Surg Center at Pima Crossing in Scottsdale, Arizona…Dr. Doug Freedberg arthroscopically repaired Smolinski's labrum and performed a bursectomy…began his rehab assignment at SingleA Stockton Aug. 12 and hit .250 with a home run and 10 RBI in seven games…that included a 5-for-5 performance with a home run and five RBI Aug. 13 against Visalia…had four RBI and three walks Aug. 20 at Modesto…was transferred to Triple-A Nashville Aug. 24 and batted .129 with a RBI in six games with the Sounds…combined for a .182 average in 13 rehab outings overall, all at designated hitter…hit .195 (8-for-41) against right-handed pitchers, .143 (2-for-14) against lefthanders…played for Obregon in the Mexican Pacific Winter League in October and hit .184 with two home runs and five RBI in 13 games. Began the season at Triple-A Nashville but was called up by Oakland on May 20 and spent the remainder of the season with the A's…hit .301 with four home runs and 16 RBI in 36 games before the All-Star Break and started 18 of the A's 47 (38.3%) games following his promotion…then started 59 of the A's 73 (80.8%) games after the break but hit .213 with three home runs and 11 RBI in 63 games…combined for a .238 average, seven home runs and 27 RBI in 99 games overall…hit .276 (29-for-105) with five of his seven home runs against left-handed pitchers compared to .216 (40-for-185) against right-handers…slugged .457 against lefties, .281 against righties…his career splits are .290 (61-for-210) with 11 of his 16 home runs off lefties (.505 slugging percentage), .211 (70-for-332) against righties (.298 slugging percentage)…batted .277 at home, .191 on the road…has a .274 (62-for-226) career average in the Coliseum and .218 (69-for-316) in all other ballparks…clubbed five of his seven home runs with runners on base…four came on the first pitch…had a .161 average with runners in scoring position and two outs after hitting .333 in that situation in 2015…batted .193 against American League West competition, .286 against everyone else…was 4-for-11 (.364) with a home run and three RBI as a pinch hitter…appeared in 49 games (48 starts) in center field, 29 games (18 starts) in right field and 18 games (11 starts) in left field…committed just one error (center field) and it was the first error of his career…batted .296 with four of his seven home runs as a right fielder, .219 at all other positions…started games in every spot in the order except third, fourth and fifth. Was purchased from Round Rock (AAA) on 7/7 and was with the Rangers the rest of the year around his 8 weeks on the DL...made starts in LF (11), RF (9), and DH(3)...hit .349, the highest average in ML among all players with at least 50 AB...was the best AVG in ML among players with at least 80 AB since TEX's Josh Hamilton (.359) in 2010 and the 2nd best mark in club history (80+ AB) to Hamilton's 2010 AVG...hit .476 (10-21) vs. LHP and .400 (18-45) at home but was just 5-for-22 (.227) with RISP. Combined to bat .254 (94-370) with career high 9 home runs and 35 RBI over 119 games with Jacksonville (AA) and New Orleans (AAA) in final season in the Miami organization...primarily appeared in both corner outfield spots, but also saw brief action in center...opened season in Jacksonville and was promoted to New Orleans on May 6...was on disabled list 8/1-12 with a fractured finger, included a rehab assignment with GCL Marlins Aug. 10-12. Topped Jacksonville in runs (71), hits (105), and walks (78)...played in Southern League All-Star Game...endured a pair of trips to the disabled list 4/18-28 with a hamstring strain and 6/2-8 with a concussion. Ranked among the Jacksonville club leaders in doubles (2nd, 26), walks (3rd, 59), and at bats (T3rd, 396)...moved to the outfield fulltime. Led Jupiter (High-A) in doubles (27) and RBI (51) and placed 2nd in hits (107) and walks (31) as team's regular 3B...was on the disabled list 7/6-29 with a finger sprain. Ranked 3rd in doubles (25) and 4th in walks (38) at Greensboro (Low-A) while seeing most of action at 3B...was selected as the Marlins' minor league hitter of the month for June after batting .299 with 3 HR, 12 RBI, and 20 BB. Combined to bat .271 (79-291) over 77 games with the GCL Nationals (Rookie), Vermont (Short Season A), and Hagerstown (Low-A) while playing primarily at 2B. Played in 28 games with the GCL Nationals in his 1st professional season. 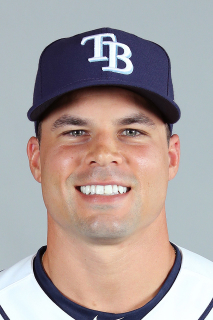 November 7, 2018 Tampa Bay Rays signed free agent OF Jake Smolinski to a minor league contract and invited him to spring training. November 7, 2018 OF Jake Smolinski assigned to Durham Bulls. October 15, 2018 CF Jake Smolinski elected free agency. October 12, 2018 Oakland Athletics sent CF Jake Smolinski outright to Las Vegas 51s. August 5, 2018 Oakland Athletics recalled CF Jake Smolinski from Nashville Sounds. August 5, 2018 Oakland Athletics placed CF Jake Smolinski on the 60-day disabled list. Blood clot in left calf. July 16, 2018 Nashville Sounds placed CF Jake Smolinski on the 7-day disabled list retroactive to July 14, 2018. June 22, 2018 Oakland Athletics optioned CF Jake Smolinski to Nashville Sounds. June 10, 2018 Oakland Athletics recalled Jake Smolinski from Nashville Sounds. May 16, 2018 Oakland Athletics optioned CF Jake Smolinski to Nashville Sounds. October 27, 2017 Yaquis de Obregon placed OF Jake Smolinski on the reserve list. October 4, 2017 OF Jake Smolinski assigned to Yaquis de Obregon. September 1, 2017 Jake Smolinski roster status changed by Oakland Athletics. August 22, 2017 Oakland Athletics sent DH Jake Smolinski on a rehab assignment to Nashville Sounds. August 12, 2017 Oakland Athletics sent OF Jake Smolinski on a rehab assignment to Stockton Ports. April 15, 2017 Oakland Athletics transferred CF Jake Smolinski from the 10-day disabled list to the 60-day disabled list. Recovering from right shoulder surgery. April 1, 2017 Oakland Athletics placed CF Jake Smolinski on the 10-day disabled list retroactive to March 30, 2017. Recovering from right shoulder surgery. May 20, 2016 Oakland Athletics recalled CF Jake Smolinski from Nashville Sounds. March 27, 2016 Oakland Athletics optioned LF Jake Smolinski to Nashville Sounds. August 19, 2015 Oakland Athletics recalled Jake Smolinski from Nashville Sounds. August 3, 2015 Oakland Athletics optioned LF Jake Smolinski to Nashville Sounds. July 7, 2015 Oakland Athletics recalled Jake Smolinski from Nashville Sounds. June 21, 2015 Oakland Athletics claimed LF Jake Smolinski off waivers from Texas Rangers. June 21, 2015 Oakland Athletics optioned LF Jake Smolinski to Nashville Sounds. June 19, 2015 Texas Rangers designated LF Jake Smolinski for assignment. June 2, 2015 Texas Rangers recalled LF Jake Smolinski from Round Rock Express. May 27, 2015 Texas Rangers optioned LF Jake Smolinski to Round Rock Express. May 22, 2015 Texas Rangers recalled Jake Smolinski from Round Rock Express. May 13, 2015 Texas Rangers optioned LF Jake Smolinski to Round Rock Express. December 11, 2014 Mayos de Navojoa placed LF Jake Smolinski on the reserve list. November 22, 2014 Yaquis de Obregon traded LF Jake Smolinski to Mayos de Navojoa. November 16, 2014 Yaquis de Obregon placed LF Jake Smolinski on the reserve list. October 10, 2014 LF Jake Smolinski assigned to Yaquis de Obregon. September 16, 2014 Jake Smolinski roster status changed by Texas Rangers. July 7, 2014 Texas Rangers selected the contract of LF Jake Smolinski from Round Rock Express. June 25, 2014 LF Jake Smolinski assigned to Round Rock Express from Frisco RoughRiders. March 18, 2014 OF Jake Smolinski assigned to Texas Rangers. November 18, 2013 Texas Rangers signed free agent LF Jake Smolinski to a minor league contract. November 18, 2013 LF Jake Smolinski assigned to Frisco RoughRiders. November 4, 2013 OF Jake Smolinski elected free agency. August 13, 2013 New Orleans Zephyrs activated OF Jake Smolinski from the 7-day disabled list. August 10, 2013 New Orleans Zephyrs sent LF Jake Smolinski on a rehab assignment to GCL Marlins. August 3, 2013 New Orleans Zephyrs placed LF Jake Smolinski on the 7-day disabled list. May 6, 2013 LF Jake Smolinski assigned to New Orleans Zephyrs from Jacksonville Suns. April 10, 2013 LF Jake Smolinski assigned to New Orleans Zephyrs. March 26, 2013 LF Jake Smolinski assigned to Miami Marlins. June 9, 2012 Jake Smolinski roster status changed by Jacksonville Suns. April 29, 2012 Jacksonville Suns activated LF Jake Smolinski from the 7-day disabled list. March 6, 2012 OF Jake Smolinski assigned to Miami Marlins. April 7, 2011 LF Jake Smolinski assigned to Jacksonville Suns from Jupiter Hammerheads. March 29, 2011 3B Jake Smolinski assigned to Florida Marlins. July 30, 2010 Jake Smolinski roster status changed by Jupiter Hammerheads. July 6, 2010 Jupiter Hammerheads placed 3B Jake Smolinski on the 7-day disabled list. April 7, 2010 3B Jake Smolinski assigned to Jupiter Hammerheads from Greensboro Grasshoppers. August 20, 2009 Jake Smolinski roster status changed by Greensboro Grasshoppers. August 6, 2009 Greensboro Grasshoppers placed 3B Jake Smolinski on the 7-day disabled list retroactive to August 5, 2009. Facial injury. May 9, 2009 Greensboro Grasshoppers activated 3B Jake Smolinski from the 7-day disabled list. April 7, 2009 Greensboro Grasshoppers placed 2B Jake Smolinski on the 7-day disabled list. November 21, 2008 Vermont Lake Monsters traded 2B Jake Smolinski to Greensboro Grasshoppers. June 11, 2007 Washington Nationals signed SS Jake Smolinski.